We are living in a world increasingly geared toward visual learners. With the explosion of sites like Instagram and Pinterest, it is evident that the way we consume content is changing before our eyes. Developed for the avid consumer of visual content, "The One" uses The Voice Bible translation alongside powerful, full-color images to maximize the long-term impact for the reader, creating a dynamic way to engage with and experience the scriptures. 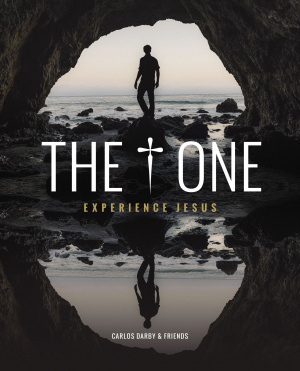 "The One" takes you on an exciting journey to uncover who Jesus really is. Understand the true nature of Jesus, His character, why He came, what He accomplished, and what it means to your day-to-day life. Discover your true value in Him, and experience a transformed life based on a genuine daily relationship with a Savior who brings hope and purpose to all who seek Him. Features include: Articles and interviews with world-renowned preachersReal life stories on the transforming power of JesusResources for personal reflection and growth In-depth group study discussion questions. The One by Carl Lentz; Carlos Darby; Charlotte Gambill; Gary Clarke; Judah Smith was published by Thomas Nelson Publishers in October 2015 and is our 25484th best seller. The ISBN for The One is 9780718036942. Be the first to review The One! Take a peek at some articles related to The One. Got a question? No problem! Just click here to ask us about The One.